Glow with us has worked with us for four years now getting us great deals and freebies for our stick-it campaign and fund raising events! Check them out for the best deals around... Especially if you want to glow green with us at Booty! There are some pretty cool things! http://www.glowwithus.com/ or find them on facebook! Join 24 Hours of Booty as we kick off 2013! Learn general event information, as well as updates on our new loop! This event is open to everyone, so be sure to tell all your friends. First round on us! Sweet Rides Tshirts on sale now for $10. Limited sizes available! Email Nadine to buy yours today! Jersey Deadline to Pre-order! WED. 8/15!!! http://bit.ly/z3Wt5R (Green Jerseys) and http://bit.ly/x0bpkk(Black Jerseys) - just copy and paste the links! Check them out! 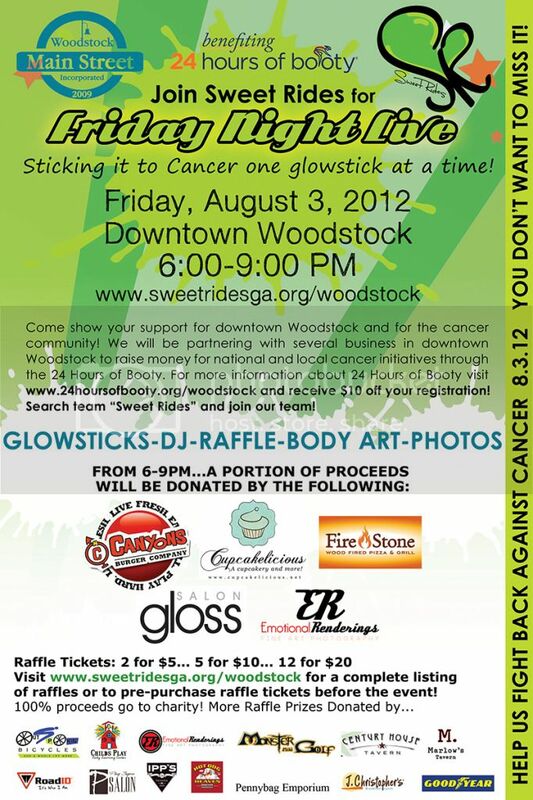 Sweet Rides Fund Raiser - AUGUST 3rd!!!! 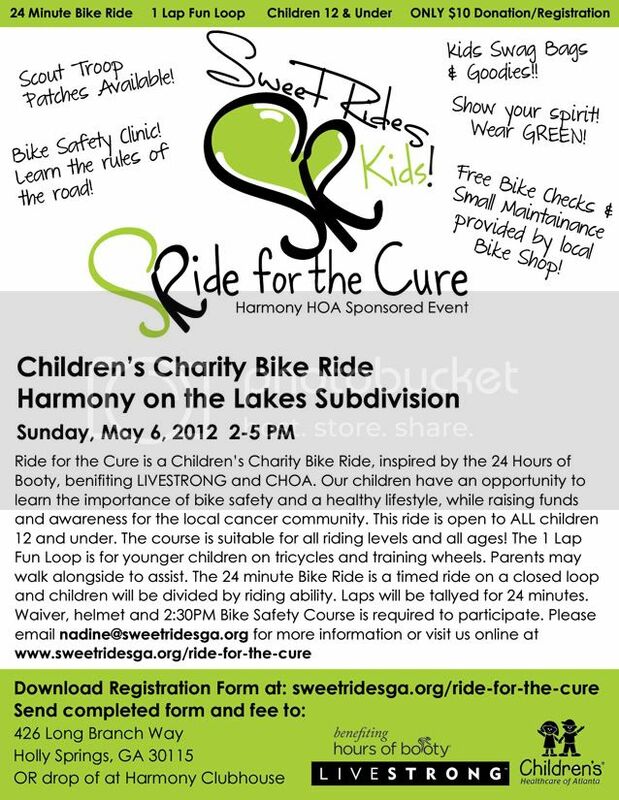 Kids Ride for the Cure - SUCCESS!!! You can sign up for the event here! It's going to be AWESOME! Booty Kick-OFF at Firestone Grille Woodstock! 2/9 @ 6:30!